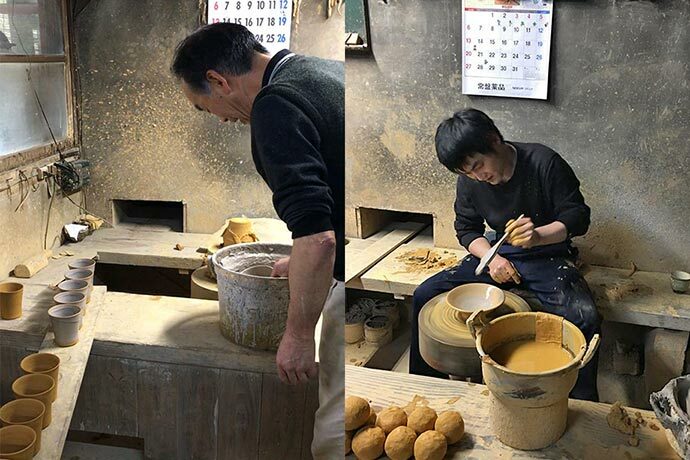 Father-son potters Sakamoto Yoshitaka and Yoichi in Onta village, Hita, Oita prefecture. 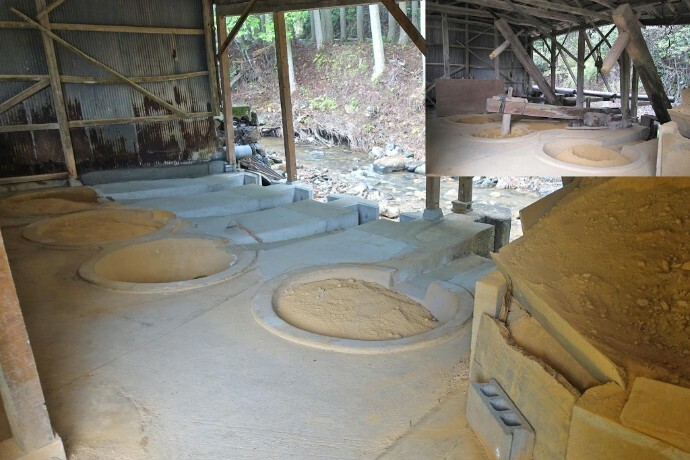 This May, I visited the Japanese pottery village of Onta for the second time as an interpreter for a pottery tour group organized by Bill Geisinger and Ben Horiuchi. It had been 5 years since I last visited this magical place and I was keen to see its current state because the village had suffered a large earthquake in 2016, followed by heavy rains in the summer of 2017 that had flooded the town and surrounding areas. I had read news reports that the rain caused severe mudslides that cut off this already remote village from the rest of the world for a week. Click to continue reading my blog post about Onta's recovery since the devastating flood in 2017. I also brought back a small selection of Ontayaki (Ontaware) that is now available in my shop. 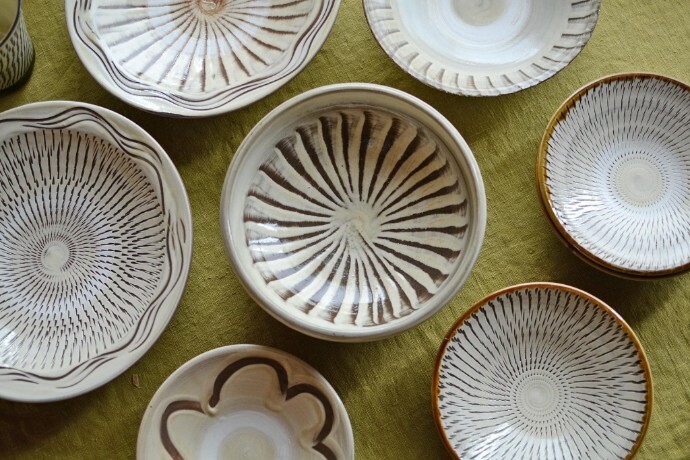 I hope that you enjoy reading my blog post and browsing the lovely cream-colored pottery made in this extraordinary hamlet in Kyushu!